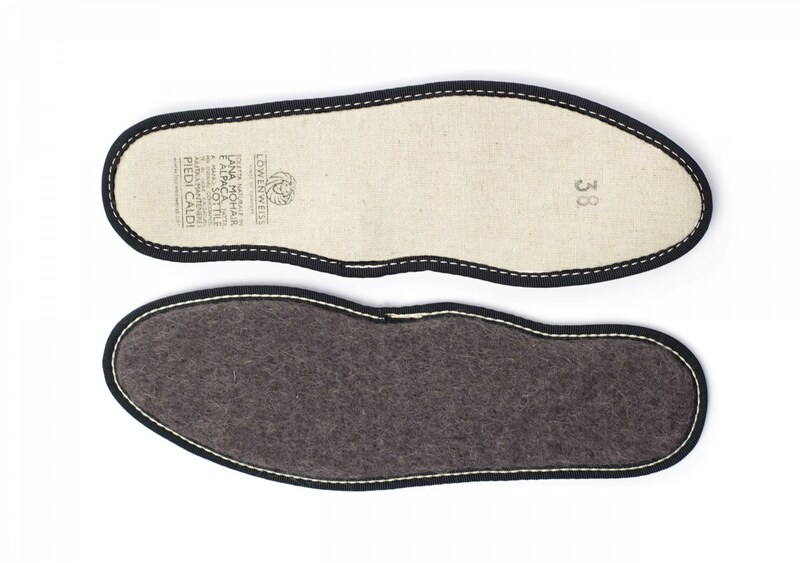 Alpaca and mohair insole that is less than 2-mm thick and is suitable for all shoes. Natural insole with a dual personality that moulds to the feet like a second skin. 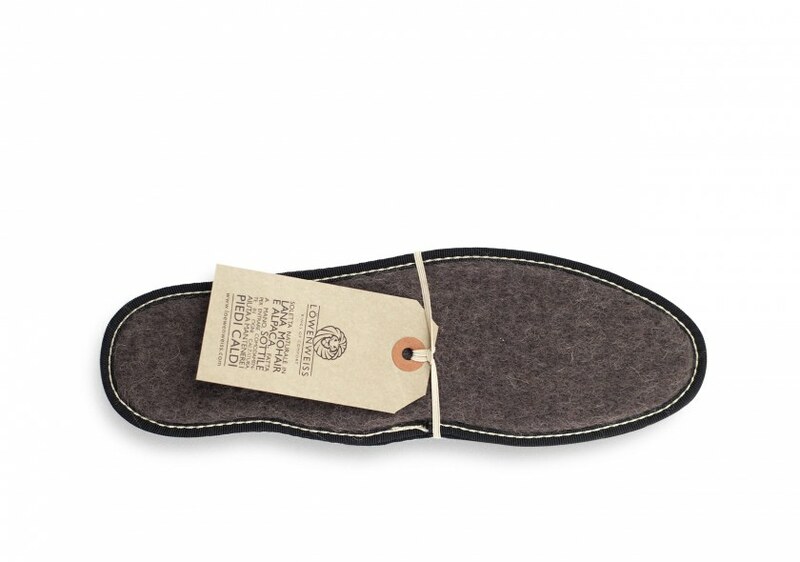 Boiled mohair and alpaca wool on one side, soft cotton on the other: comfortable and versatile, it lets your sole choose between a warm embrace and a soft caress.